Establishing a self-managed super fund (SMSF) requires signing many legal documents that is used to shape the trust fund. These documents can also determine the trustee’s scope and limitations in managing the SMSF. There are many declarations that the SMSF Trust and the trustees have to sign and trustees may get confused and complacent thinking that they’ve already filed the correct paperwork—only to find out they only signed a similar sounding document. One of these documents is the Declaration of Trust—a very important document for SMSFs. The SMSF Trustee declaration is a legal document that all trustees and directors of SMSFs must sign to accept their appointment and show that they understand the responsibilities of the position. It outlines the objectives of the Trust, the administrative and legal obligations of all trustees, and the investment restrictions for SMSFs. When a person signs the trustee declaration, it signifies a legally binding promise to ensure that they will keep the SMSF in line with superannuation laws and be responsible for handling all assets owned by the trust. The trustee can be jailed for breaching laws applicable to the SMSF if they signed a trustee declaration. A declaration of trust does not carry the same responsibility or burden of civil or criminal liability. A person cannot be an SMSF member or trustee if they do not sign the Trustee Declaration, whereas the Declaration of Trust requires that the person must be an existing SMSF trustee. A will or testament is a binding legal document that expresses a person’s wishes upon death. It must be created and signed when the person was of sound mind and body. To take effect, the writer-testator must explicitly state that the document and its contents functions as a will and two witnesses must sign as proof of its validity. It is a document wherein a person explicitly states that they own assets, and they want to transfer legal ownership of those assets to specific people when they die. A last will does not require a person to acknowledge and accept their role as a beneficiary and, in some cases, they are not even aware that they will receive any asset from the person who wrote the will. A will is not a declaration of trust because the contents of a will reflects a person’s wishes towards their legally owned assets upon death. A declaration of trust splits property rights between legal and beneficial ownership before an asset is acquired. A deed is a legally binding document that explicitly transfers ownership from the original to the grantee. 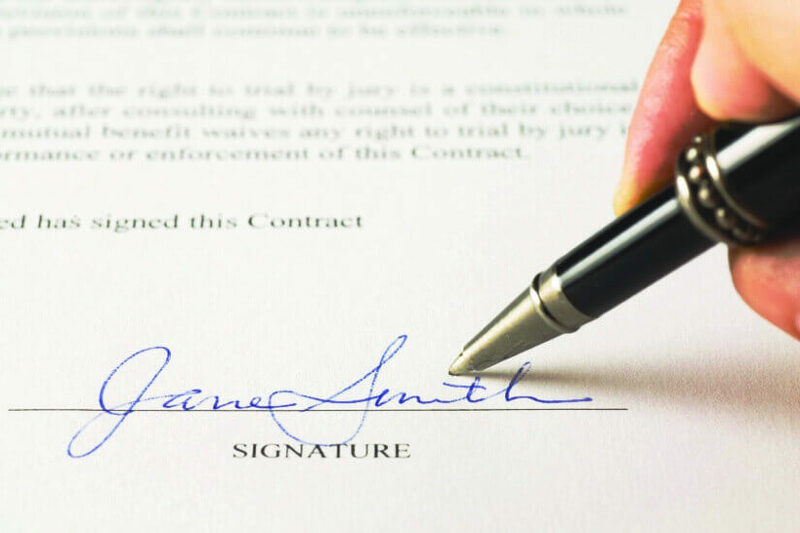 Like a will, the grantee or recipient does not need to sign the document for it be considered valid. However, the grantee must accept the transfer of ownership before it actually takes effect. A deed is similar to a declaration of trust in a sense that they are both contracts pertaining to property assets and their ownership status. What differentiates a deed from the declaration is that deeds deal with a full owner (legal and beneficial) of a property transferring full ownership to another. The Trust Deed is also legally binding but unlike the documents discussed above, it isn’t just about ownership of assets in the trust. A trust deed actually functions as the SMSF’s constitution. Everything that trustees need to follow, including limitations in ownership of properties, loaning, and transfer of ownership, are outlined in the Trust Deed. Trust Deeds are supposed to help keep the SMSF in line with existing and updated rules and regulations. It also adds additional limitations or allowances for SMSF trustees. The Trust Deed is a constitution. The Declaration of Trust is for splitting ownership. What exactly is a Declaration of Trust? A declaration of trust is a legal document that establishes the relationship between a trustee and the beneficiary. The declaration states that a trustee, whether individual or corporate, is merely the legal owner of an asset. The person who actually benefits from the asset is the beneficiary. Both legal and beneficial owners must sign the declaration of trust before carrying out any action in order for it to be valid. This document is applicable to financial assets (cash, equities, shares, units, etc. ), artworks and collectibles, and real property. If the legal and beneficial owner signs the document after processing other transactions, the declaration of trust becomes invalid. A declaration of trust is essential for SMSFs when acquiring property through a limited recourse borrowing agreement (LRBA). This information has been sourced from the Australian Taxation Office and Investopedia.